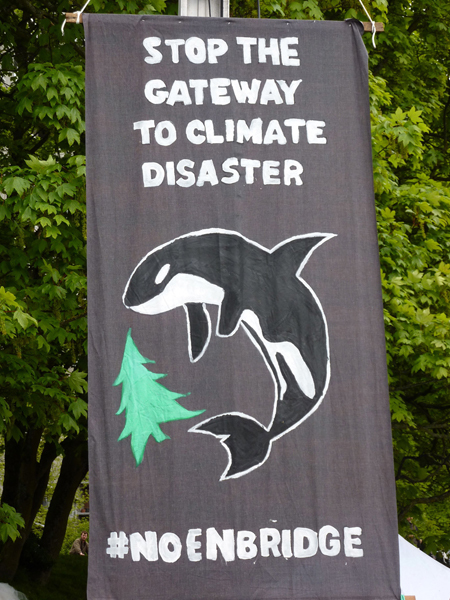 The tendrils of the tar sands include inputs and outputs stretching across Canada, through the heartland of the United States, down the Pacific coast and across the Northern Rockies and Pacific Northwest. The oil industry proposes to industrialize huge swaths of pristine landscapes in some of the most remote country in North America. These plans include creating a so-called High and Wide Corridor through the wild and scenic river corridors along Highway 12 in Idaho and Highway 200 in Montana for hauling enormous megaloads to the tar sands in Alberta. The loads consist of gigantic modules of mining equipment manufactured in Asia and equally behemoth water purifiers for the SAGD operations, manufactured in western British Columbia and Washington State. At the same time the Canadian Federal Government is pushing to run pipelines from northern Alberta over the Canadian Rockies, through First Nations lands across British Columbia and on to the Pacific coast. Just like with the Keystone XL pipeline these proposals are being met with vehement opposition. 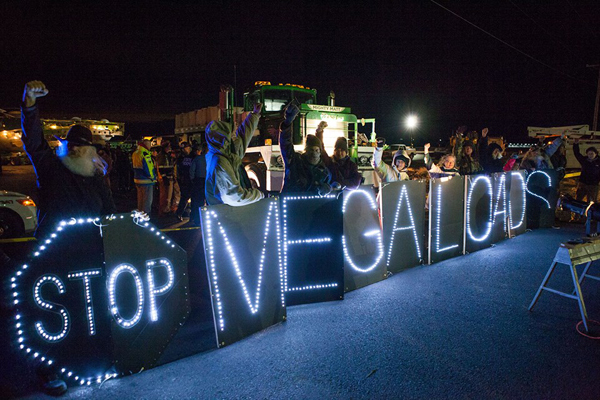 And despite the overwhelming challenges of fighting big oil, the grassroots movements to stop the megaloads and pipelines are having some successes. The wild and scenic corridor along Highway 12 in Idaho was closed to megaloads after the Nez Perce tribe sat down on the highway to block a load in August 2013. The protesters were arrested and the load eventually made it to Alberta, but a lawsuit filed by the Nez Perce and Idaho Rivers United succeeded in stopping any further loads on Highway 12 for now. 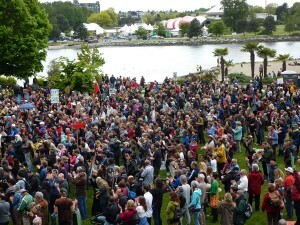 On June 27, 2014, Canadian Prime Minister Stephen Harper gave his final approval to build the Northern Gateway pipeline, one of the two pipelines proposed to cross British Columbia. That same day the Canadian Supreme Court upheld First Nation’s title and rights to their traditional lands, potentially giving them veto power over development projects that the government and the oil industry want to push across their lands. So it seems that Stephen Harper’s final decision on the pipeline is just the start of a new round of litigation. In May 2015 the liberal New Democratic Party won the election in Alberta. The province’s new premier Rachel Notley has spoken out against the Northern Gateway and Keystone XL pipelines. This regime change – along with the dramatic drop in oil prices – may be creating a sea change in the energy landscape of Alberta, which will affect us all. This video posted by Wild Idaho Rising Tide shows the Nez Perce Tribe and supporters blocking a megaload on Idaho’s Highway 12 at the border of the Nez Perce reservation, August 5, 2013. The truck is carrying a gargantuan water purifier for a SAGD operation in NE Alberta. Later that month a federal judge ordered the U.S. Forest Service to use its authority to close Highway 12 through the Clearwater National Forest. 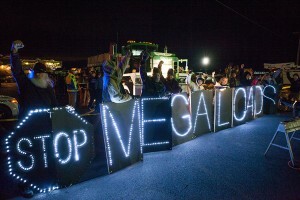 Video of Protests as Megaloads going through Missoula in 2011 – Protests break out in Missoula as ConocoPhillip’s ‘Megaloads’ roll down Reserve Street.